Just last week, we had the opportunity to shoot another great piece of architecture for our friends at Dostie Homes in Pablo Creek Reserve. 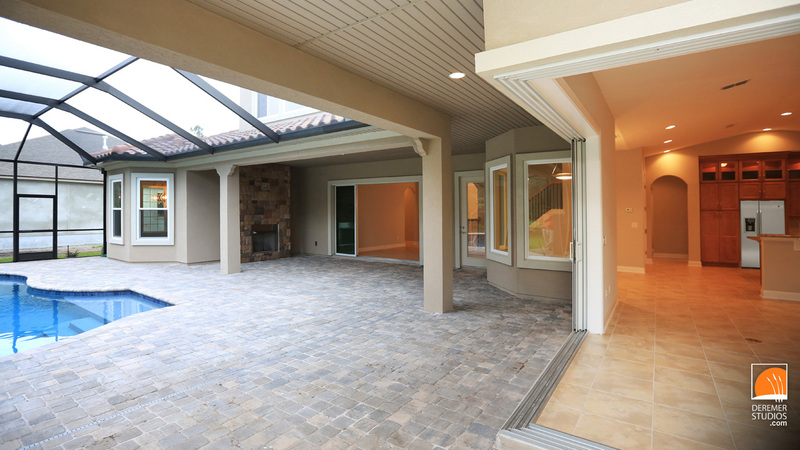 This is the second home we’ve shot in this great development (see Dramatic Dostie Home for our last shoot) This is the largest home we’ve photographed for the builder, with just under 5,000 square feet of climate controlled space. 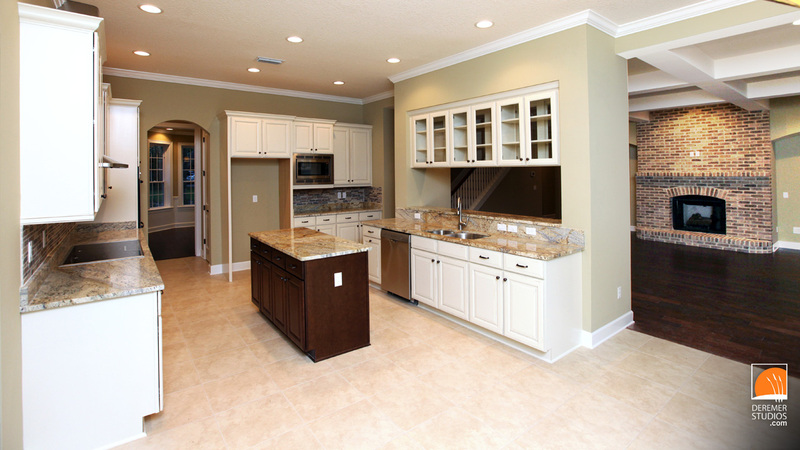 As with many of Dostie’s homes, this house sports a wonderfully flowing semi-open floor plan with great little details that all come together to create one great home. If you’ve been in Jacksonville the past few weeks, you’ve undoubtedly noticed that overcast clouds have been the norm. So, you may be wondering where the very colorful sky in the top photo came from. We have an extensive collection of fine art photography, including quite a few ‘big sky’ photos that work perfectly to superimpose into overcast photos. With over 20 years of Graphic Design experience, we are able to seamlessly insert these backgrounds in a believable way. 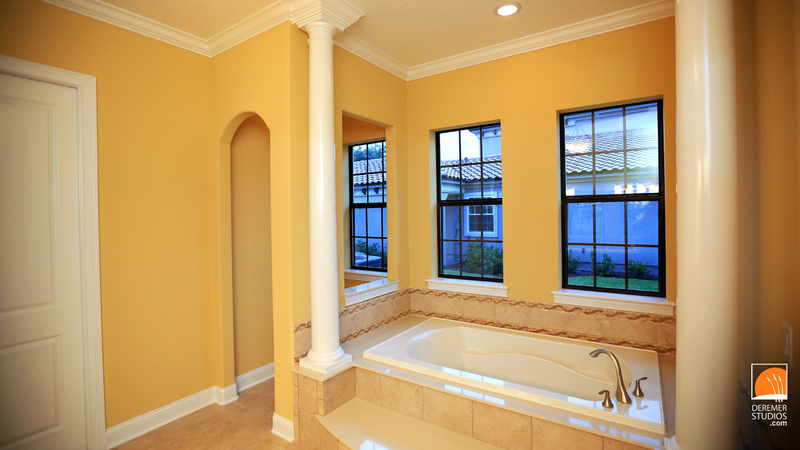 It’s just another reason why you can’t find a better combination of quality, value and affordability anywhere else! 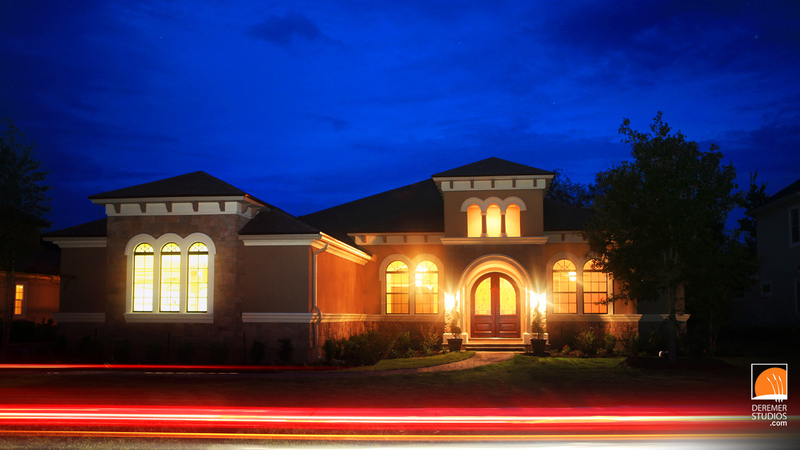 Deremer Studios specializes in Architectural photography – both residential and commercial. Our specialized equipment, designed specifically for this sort of photography, enables us to creatively capture almost any space! Check out some of our favorite shots from this shoot below. Enjoy the photos! 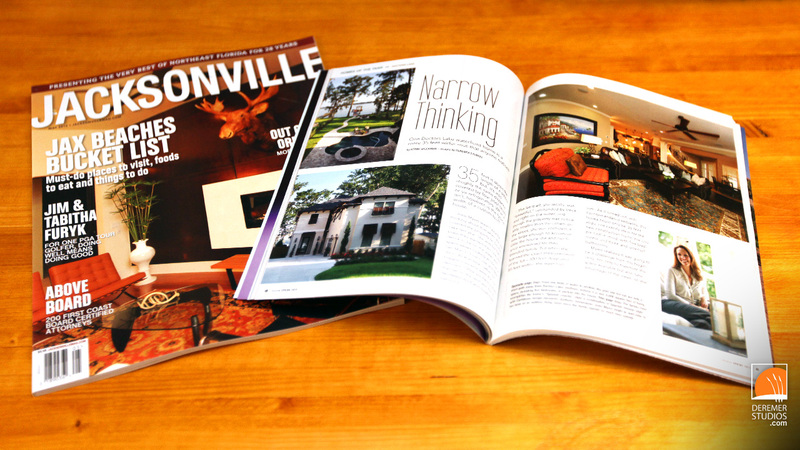 We received word today that Jacksonville Magazine has once again published several photos from our shoot with Dreambuilder Custom Homes, this time in their biannual HOME issue. 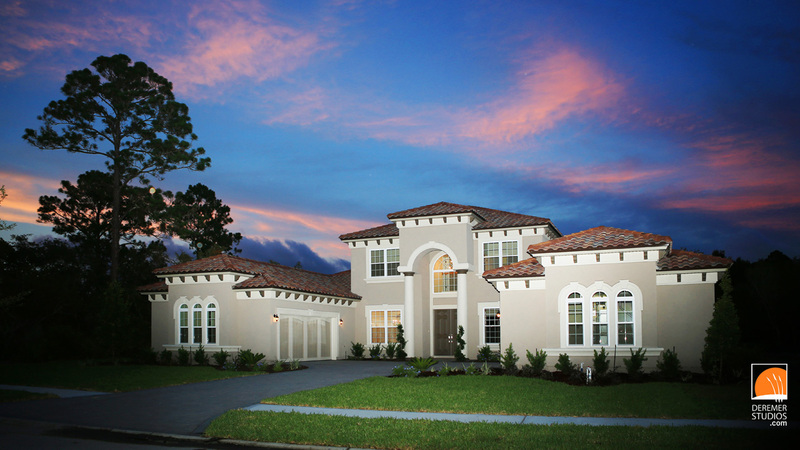 Dreambuilder’s unique home has deservedly received the honor of Home of the Year. 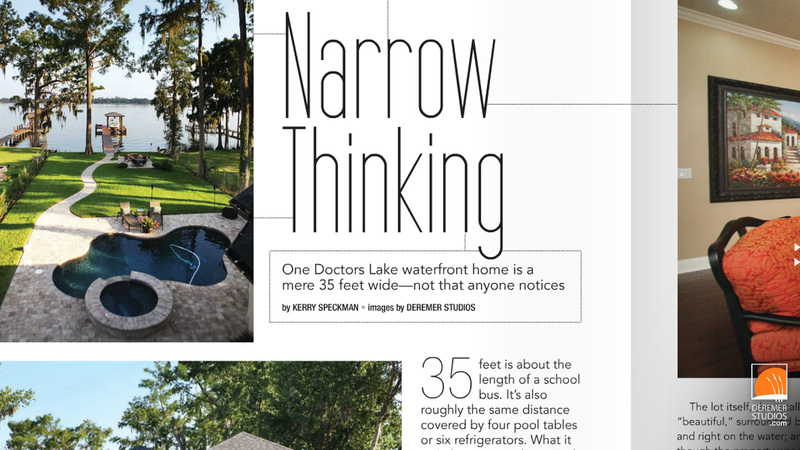 The article again details the uniquely narrow footprint and welcoming design of this Doctor’s Lake home. Check out the online version of the article here, or pick up a copy at a local news stand! Last week, I had the opportunity to photograph two properties for Dostie Homes. Lucky for me, the homes were on adjacent lots. 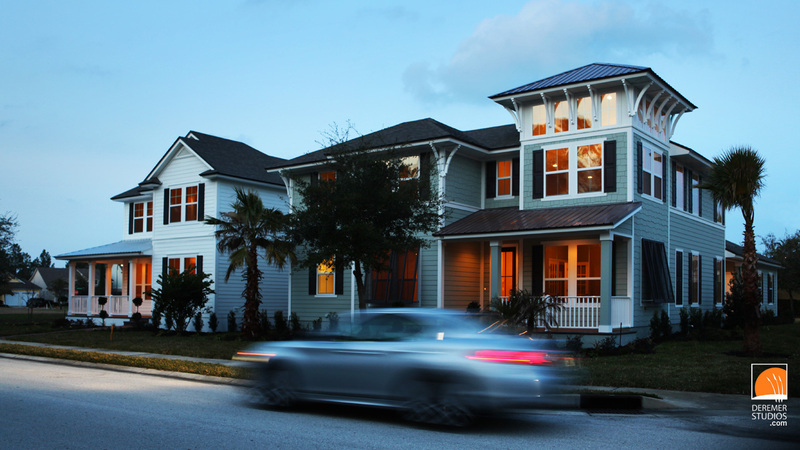 But don’t think that makes these homes twins – while they do share many of the premium amenities and creative spaces Dostie Homes is known for, the exterior of these homes could hardly be more different. 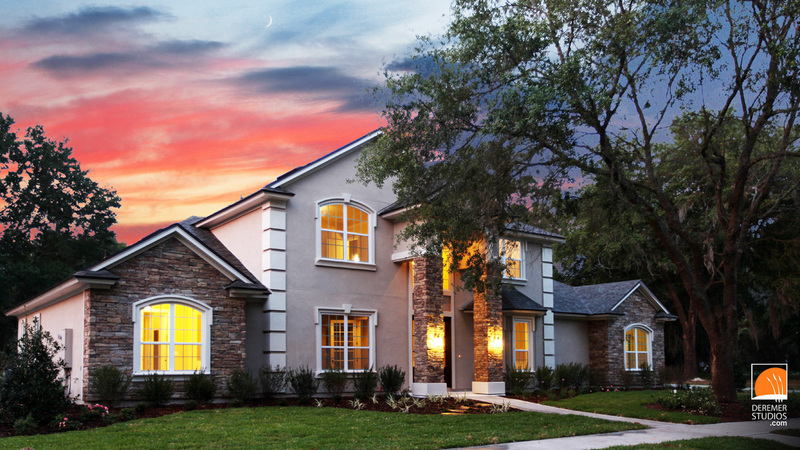 One home looks like it could have been plucked straight out of an Iowa corn field, while the other is clearly a Florida-inspired home, complete with dramatic tower and decorative eaves. Enjoy the photos!